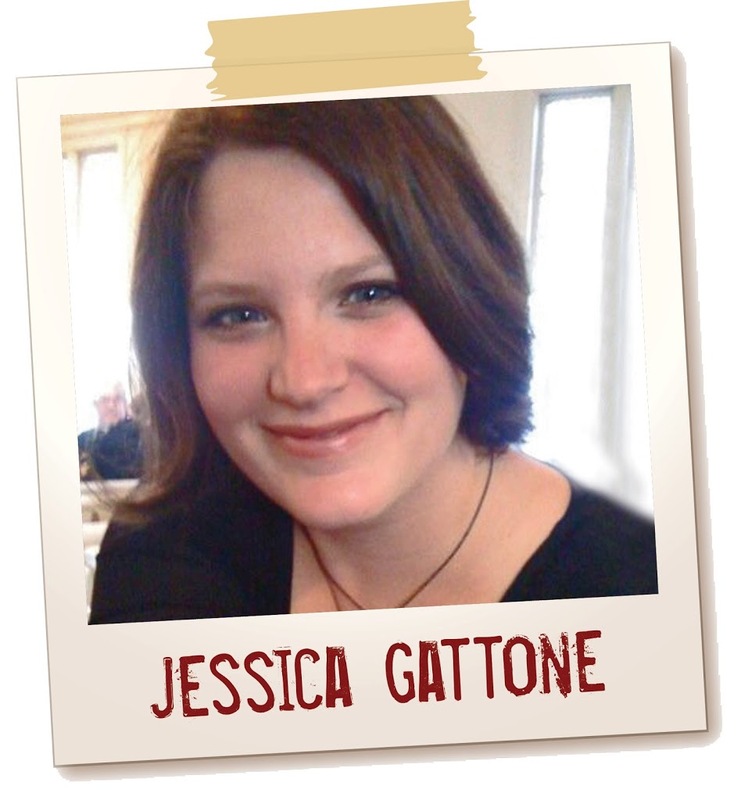 The Artisan Group is proud to announce today’s Artist Spotlight Feature is Jessica Gattone of Sparetire Design! Sparetire Design carries creative and customized stationery solutions for weddings, special events and personal use. 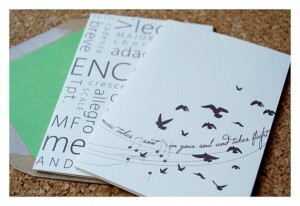 My stationery designs combine a simple and organic sensibility with sharp design and typography skills. I started Sparetire Design as a freelance design business and it has morphed into a stationery and design business. I love helping people make their visions a reality for important events in their lives. Whether I am working with a newly developed business to create their company brand or working with a couple to create an intimate part of their wedding from invitations to day of stationery, combining my passion and love for design into a useful and tangible element is incredibly gratifying. The product I relate most to in my shop would have to be my music inspired note cards. I designed these cards for The Official CMA Gift Lounge, an opportunity I was able to be a part of because of TAG. I was able to capture the emotion and inspiration music evokes in me and create a design for note cards that depicts birds taking flight from a music staff. The second design in the series is a collection of musical terms arranged in a fun typographical arrangement. When you’re not designing fabulously trendy paper goods, what are your hobbies? You can often find me in the yard playing with my children, tending my garden and listening to great music. We recently adopted a dog, so we love to take hikes and go exploring as a family too. Music and nature provide a wealth of inspiration to me as an artist so I try to incorporate those elements into my daily routine as much as possible. The Artisan Group provides a sharing atmosphere with other creative people accomplished in different mediums in an encouraging and supportive format. I have learned an inexhaustible amount about business, human nature and the art of creativity from other members. My studio is in house, TAG provides the interaction with other creatives I crave. Jessica recently participated as a display participant in the official talent gift lounge on October 29 – November 1, 2012 at The Bridgestone Arena in Nashville, Tennessee, in honor of the Nominees and Presenters of The 46th Annual Country Music Awards (CMAs).